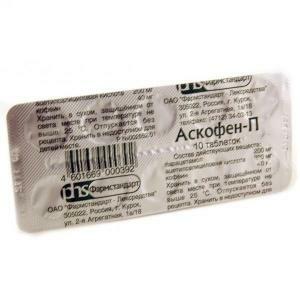 Askofen-P is a combination drug from the group of analgesics-antipyretics. This drug is an analgesic non-narcotic drug that combines a non-steroidal anti-inflammatory agent, analgesic and psycho-stimulating component. Acetylsalicylic acid - 200 mg.
As excipients used: potato starch, stearic acid, povidone, talc, liquid paraffin. Caffeine - eliminates the feeling of tiredness and drowsiness, increases mental and physical activity, helps to increase the excitability of the respiratory center, dilates blood vessels. Acetylsalicylic acid contributes to the antipyretic and anti-inflammatory effects; reduction of pain due to the development of the inflammatory process; improvement of microcirculation in the outbreak of inflammation. Paracetamol - contributes to providing antipyretic, analgesic and moderate anti-inflammatory effects. Symptomatic treatment of fever with acute respiratory diseases and influenza. Taking the drug does not affect the course of the disease and is an auxiliary element of treatment. The use of Askofen-P is not recommended in case of development of individual intolerance to active or auxiliary substances of the drug, with erosive and ulcerative lesions of the gastrointestinal tract (acute stage), gastric bleeding, "aspirin" asthma, hemophilia, hemorrhagic diathesis, portal hypertension, avitaminosis K, renal failure. The drug is also contraindicated in case of deficiency of glucose-6-phosphate dehydrogenase, severe arterial hypertension, severe ischemic heart disease, glaucoma, increased excitability, sleep disorders, and surgical interventions that are accompanied by the development of bleeding. Askofen-P can not be used during childbirth (1st and 3rd trimester), during lactation and in patients younger than 15 years of age. This medicine is prescribed with extreme caution in the development of gout and liver disease. Taking pills should be taken orally during or immediately after a meal. It is recommended to take a pill every 4 hours. With intense pain, a single dose can be increased to 2 tablets. The average daily dose is up to 4 tablets, the maximum - 8 tablets. The duration of therapy should not exceed 1 week - 10 days. The drug can not be used for more than 5 days as an analgesic and more than 3 days as an antipyretic medication without prior appointment and observation of a physician. Your doctor may prescribe a different dosage, frequency and duration of the drug, taking into account the symptoms of the disease and the individual characteristics of the patient. With mild intoxication with acetylsalicylic acid may develop nausea, ringing in the ears, nausea, dizziness. In severe intoxication, convulsions , drowsiness, lethargy, collapse may occur. In the event of an increase in the negative effects of a substance on the body, respiratory disorders may be observed. In this case, you should immediately consult a doctor. As therapy, water-electrolyte and acid-base balance should be constantly monitored. The increase in alkali promotes the removal of acetylsalicylic acid from the body. Acceptance of Ascophen-P may contribute to the development of such undesirable side reactions: erosive and ulcerative lesions of the gastrointestinal tract, vomiting, tachycardia, increased blood pressure, bronchospasms, and allergic manifestations. Prolonged use of pills can trigger the development of dizziness, headache, blurred vision, tinnitus, bleeding gums, nosebleeds. Ascofen-P may help increase the effects of indirect anticoagulants, heparin, hormones, hypoglycemic drugs. When taken simultaneously with methotrexate and drugs from the group of nonsteroidal anti-inflammatory drugs increases the risk of unwanted adverse reactions. In the case of simultaneous use with diuretics, spironolactone, antihypertensive and anti-gout drugs, there may be a decrease in the effectiveness of these drugs. Askofen-P is not recommended to be combined with barbiturates, rifampicin, antiepileptic drugs, salicylamides because of the risk of a negative effect on the liver. Simultaneous administration with metoclopramide may accelerate the absorption of paracetamol. The combination of paracetamol with alcohol increases the risk of hepatotoxic effects. Since the active component of Ascophen-P - acetylsalicylic acid has an effect on blood clotting (slows down the process), the patient should inform the doctor about the use of this tool if surgery is necessary. The use of the drug is not recommended in childhood, because in case of accession of the infection there is a risk of Reye's syndrome. This disease manifests itself in the form of vomiting and enlarged liver. 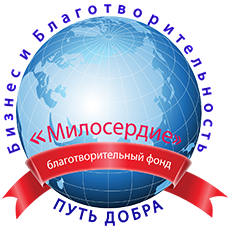 Against the background of prolonged use of the drug, systematic monitoring of the peripheral blood and the functioning of the liver is required. Acetylsalicylic acid can promote the excretion of uric acid, which can trigger an exacerbation of gout. At the time of taking the tablets Askofen-P should refrain from drinking alcohol because of the risk of gastric bleeding. Analogues of the drug are the following drugs: Exedrine, Citramon II, Kofitsl-plus, Citramon Ultra, Citrapar, Migrenol Extra. If it is necessary to select a replacement, it is advisable to consult with a doctor beforehand. Storage of the drug Askofen-P should be carried out in a dark place, protected from direct sunlight at a temperature not exceeding 25 degrees. Tablets, 10 pcs. - 17-20 rubles. Tablets, 20 pcs. - 35-45 rubles.